Support for JNU students and clear understanding of India’s over stepping the boundaries of democracy with fascistic tendencies is widespread. Most recently Dawn published a very good analysis by India’s expert lawyer A.G. Noorani that terms the offense of ‘sedition’ as a relic of the colonial era whose shelf life had long expired. How is it possible to organise by purely constitutional and peaceful methods a campaign against a government in respect of its policies without diminishing whatever ‘affection’ it enjoys? The same is true of moves in parliament. The notion of ‘disaffection’ is out of place in a democracy. It is rooted in British law which placed a premium on loyalty and affection for the ruling monarch. If the ability of individuals to criticise the state is crucial to maintaining freedom, what do we have in Pakistan? Allow me to remind my dear readers that our government has arrested over 50 activists in Gilgit-Baltistan for none other than sedition! Fazl-ur-Rehman has even said that social media is leading youth towards ‘sedition’ because they are using to make jokes about politicians. How often analysts and commentators accused of treason on social media for daring to make some criticism of the government or national agencies? 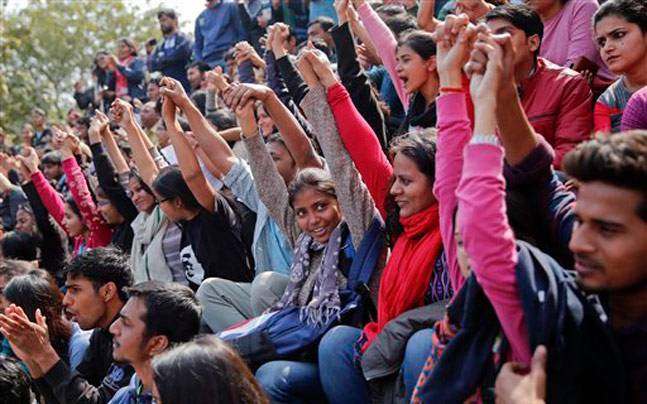 If we can support freedom of speech for JNU students, why can’t we support freedom of speech in our own country? This entry was posted in Blogs and tagged freedom of speech, gilgit-baltistan, JNU, sedition by Omar Derawal. Bookmark the permalink.